My Parents have been my only Family. Now I have only my Mother left, but my Father is surely watching over me... He always will! 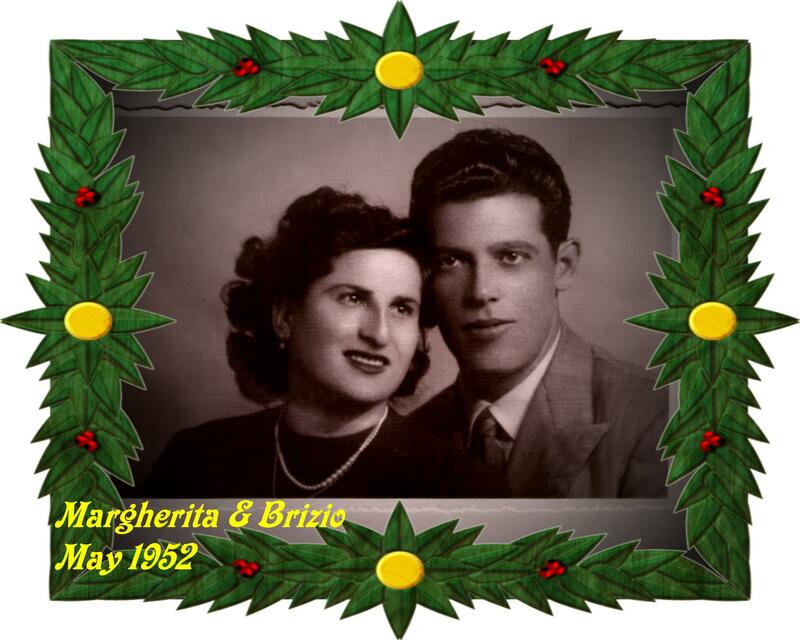 My mother, Margherita Rescio, was born in Calimera (Lecce) - a small town in the Italian region called Puglia, on the Adriatic Sea - on September 1st, 1925. One of five children, she lost her mother at an early age, and was then raised by a rich local family. 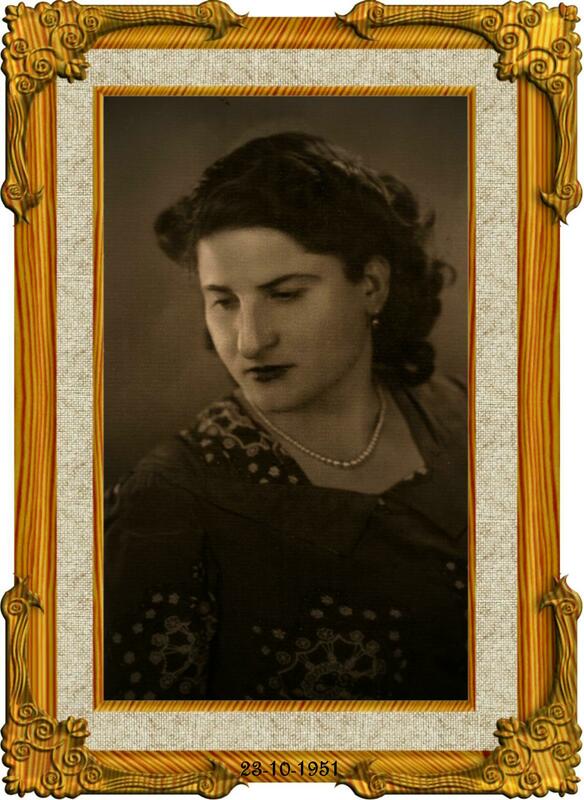 She owned a restaurant business for many years and has gained the respect and admiration of her community. Hard work and sacrifice have never scared my mother. She loves to cook and is a problem solver by nature. One of her biggest passions is the American rock band KISS, a true love of hers. She also met the band in London, in the early 90's, and was featured in the British rock magazine "Kerrang." She is my rock... star! 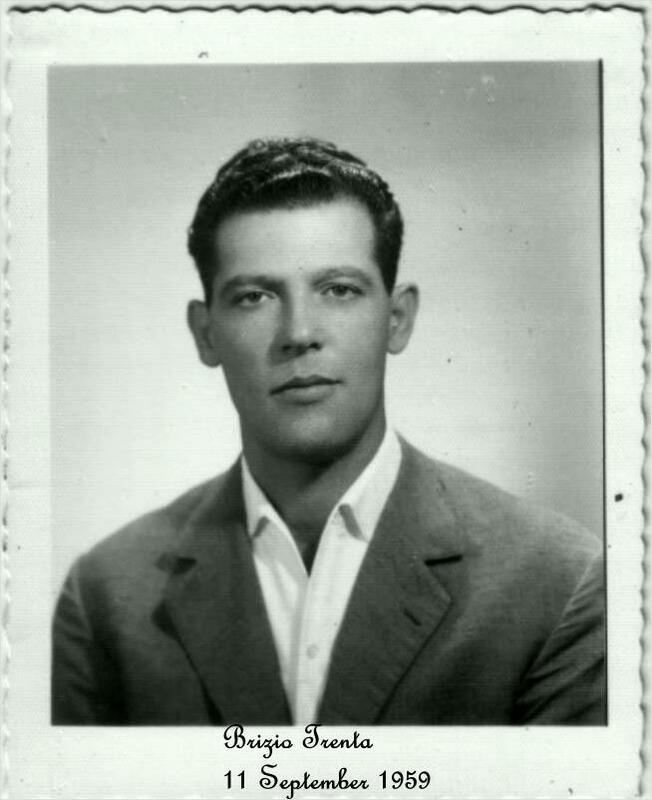 My dad, Brizio Leonardo Trenta, was also born in Calimera, on December 27th, 1922. 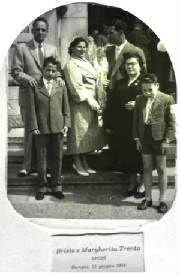 He came from a working class family, the eldest son of Donato and Cesaria Trenta. He was followed by five more siblings and spent most of his youth helping the family get by. He held different jobs in order to support his younger brothers and sisters. My dad was a Police Officer for over thirty years and when he retired, he enjoyed spending his time working a piece of land that he and my mother owned. He was a keen card player (though he cheated most of the time!) and a chain smoker, until a stroke forced him to quit the nasty habit. He should have enjoyed his golden years, but a tragic fate took him away from the love of his family. The pain of his loss is truly unbearable and getting worse each day. These wounds can never heal and time is certainly not a healer. Whoever said that was lying! He had survived the Russian campaign, during World War II, but in the end he could not face his own demons. I regret that he did not understand how valuable and precious his life was to all of us. The question mark over this matter remains, to linger on until the day I will leave this earth. 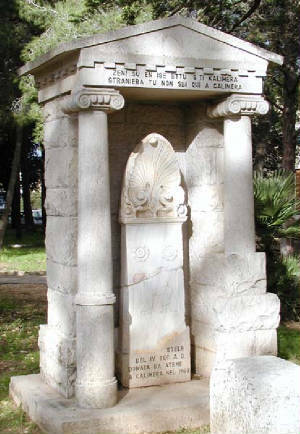 In the nice park of the town, you can find a small monument containing an ancient Attic burial stone, gifted by the city of Athens in 1960 to Calimera. At the top of this monument there is a motto referred to the burial stone:“Zeni sù en ise ettù ‘sti Kalimera”, “Straniera tu non sei qui a Calimera” - "You are not a stranger here in Calimera"(transliterated in Greek: Ζένη 'σού 'εν είσαι ετού στη Καλημέρα), a verse from the poem of the same name by Ernesto Aprile. Calimera (Καλημέρα, "good morning" in both Greek and Griko) is a small town of 7,296 inhabitants in the Grecìa Salentina area of the Salento peninsula in Italy, located between Gallipoli and Otranto. It belongs to the province of Lecce. The inhabitants of Calimera besides Italian also speak Griko, a linguistic amalgam comprising ancient Greek, Byzantine Greek and Italian elements. Apart from the language, the folklore, traditions and history of Calimera, as the history of eight other cities in the area (called Salentinian Greece), reveals significant Greek influences over the course of time, presumably from the time of the Byzantine control, or even the ancient Magna Graecia colonisation in the 8th century BCE. Some claim that the name Calimera comes from the Greek Καλημέρα (Kalimera), which means buon giorno ("good morning") or, according to some scholars, bella contrada ("beautiful countryside"). Although, most likely the name might come from the root kal, sometimes transformed in gal. 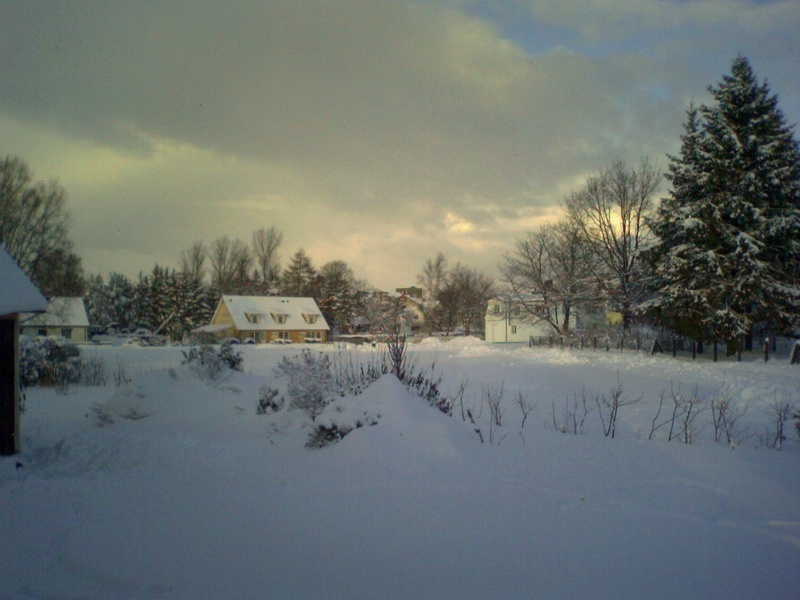 In this case, the word would have the meaning of luoghi abitati ("inhabited places"), recintati ("fenced in"). More generally, the word would refer to an anfratto, luogo riparato ("ravine," "sheltered place").